New HTC Vive Hardware Coming to CES 2018? 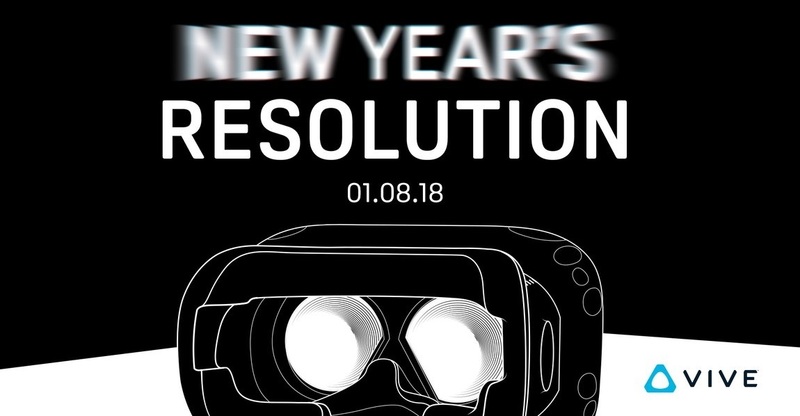 Thanks to a rather suggestive new year’s resolution tweet from HTC, it appears during their CES Keynote some special HTC Vive announcement will be made. CES held in Las Vegas is one of the year’s popular trade shows and a great showcase for new technology and gadgets, expect lots of news flooding the net from the show this week. For those with keen eyes and a speculative approach as to what the image translates to it has been suggested a revised Vive HMD is on the cards which features better lenses and possibly a higher resolution display. With only a day left for the reveal it will be interesting to see how HTC plays its hand especially in light of the competition from Microsoft’s WMR HMDS, Pimax 8K and the very low priced Oculus Rift.